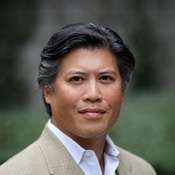 Eric Tao is CEO and the managing principal of AGI Avant. He has 20-years of experience in the real estate industry and has led the acquisition, entitlement, financing, development and disposition of over 1,500 multifamily residential units in the San Francisco Bay Area with a focus on transit oriented urban infill projects. AGI Avant, LLC was formed in 2006 to manage multifamily development investments for CalPERS. At AGI Avant, Tao has guided the development of nearly 700 new units and secured the pipeline of an additional 450+ new apartment units in the emerging San Francisco SoMa, Dogpatch and Mid-Market districts. Eric is a graduate of Pomona College in Claremont, CA and received his Juris Doctorate from UC Hastings College of Law.